Scotch® Filament Tape 8631 is clear tensilized polypropylene backing with polypropylene ribs, and a rubber resin adhesive. Synthetic Rubber adhesive is designed to adhere and remove from polyethylene bags for bag conveying applications. 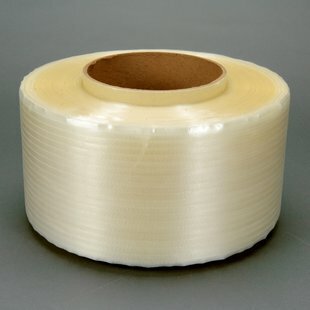 High strength polypropylene reinforced bag conveying tape for demanding applications.